How much do you want for the SP-101 now? This is a great buy for someone. Grab a Gun's price is $932 for just the gun. 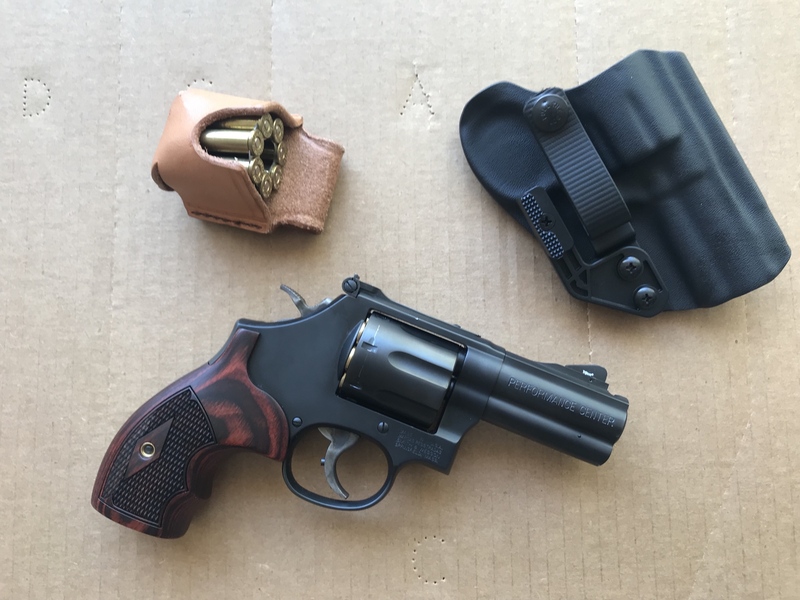 Carl is including a very nice leather holster for less money. Why would you ever, ever carry a loaded gun not in a holster? Pretty stupid! I like the looks of that revolver! What model is it? Topic: I've Decided I Don't Need a Gun..
Re: I've Decided I Don't Need a Gun.. Thanks for the pictures! Beautiful gun and now a beautiful holster for it! I call that a win win. You are so right. That is a beautiful holster. How about a picture of the gun too? I am right there with you. I've tried the all leather holsters too and ended up going back to the kydex varieties due to weight and thickness.